I recently stopped in at the DAVIDsTEA store in San Francisco's Westfield Center, where I had a fun, tea-centric chat with the knowledgeable and enthusiastic manager Jodet and walked out with a couple of great oolongs. 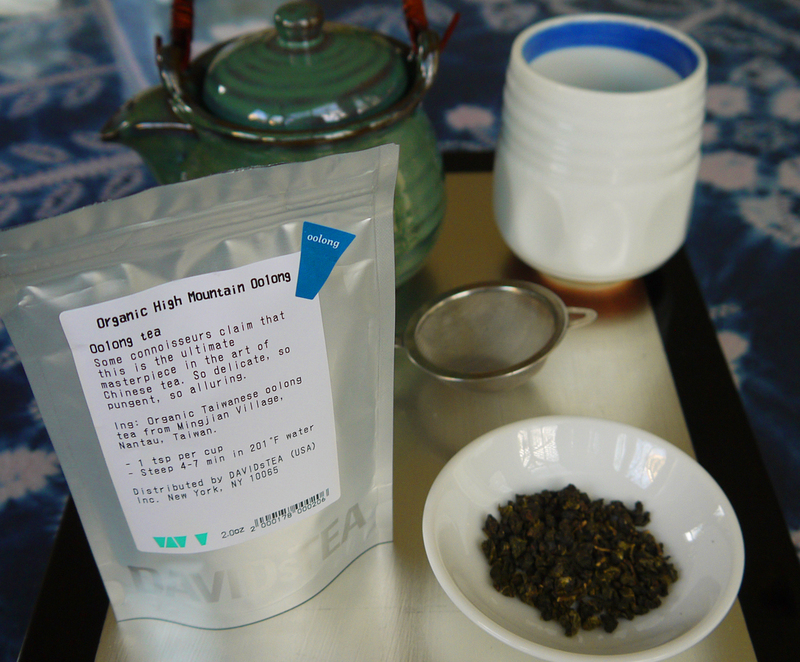 One was Organic High-Mountain Oolong. Now, I profess no oolong expertise, but I do have a longstanding, well-known fondness for the teas, and this oolong did not disappoint. 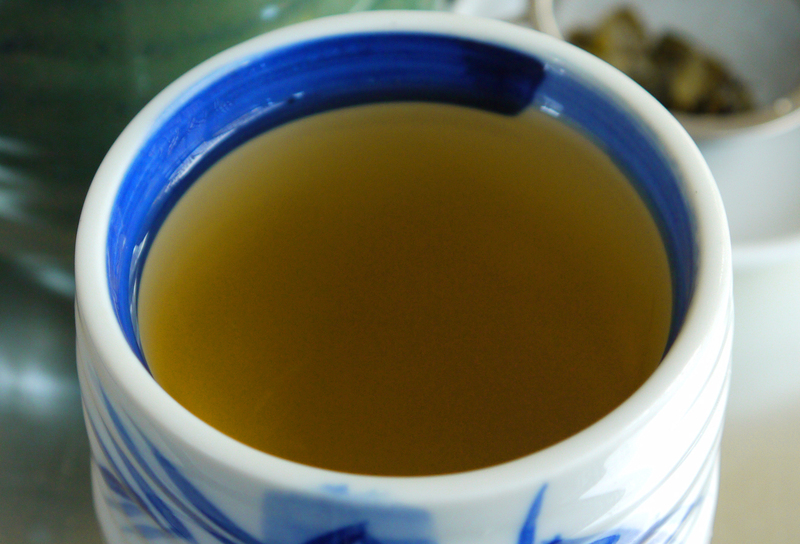 Even while still steeping, the tea delighted me with its aroma, so wonderfully earthy in that oolong way. The taste delivered on the aroma's promise in a well-balanced manner — not harsh like some oolongs, yet not fleeting like others, either. Even after finishing a potful, the complex fermented taste stayed around leisurely pleasing my palate. 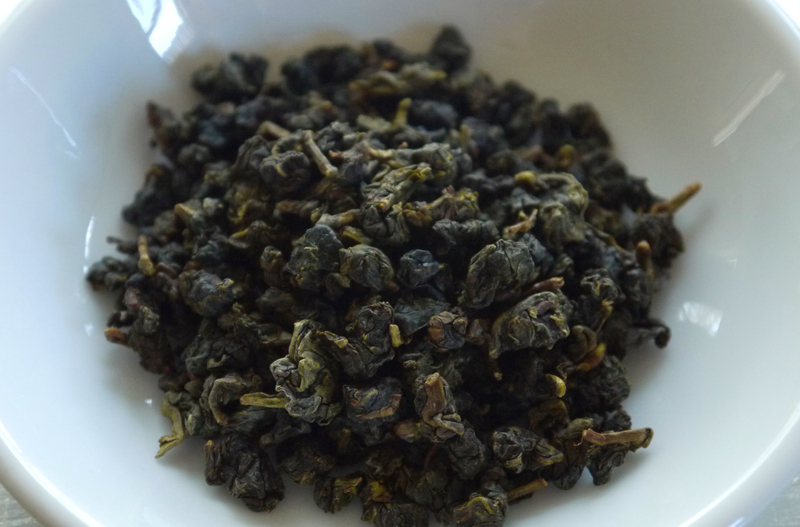 I highly recommend this to fellow oolong fans out there. If you're ever in DAVIDsTEA, be sure to at least give it a whiff. And say hi to Jodet for me. All ready to brew and review. But first a close look and the lovely, tightly rolled leaves. 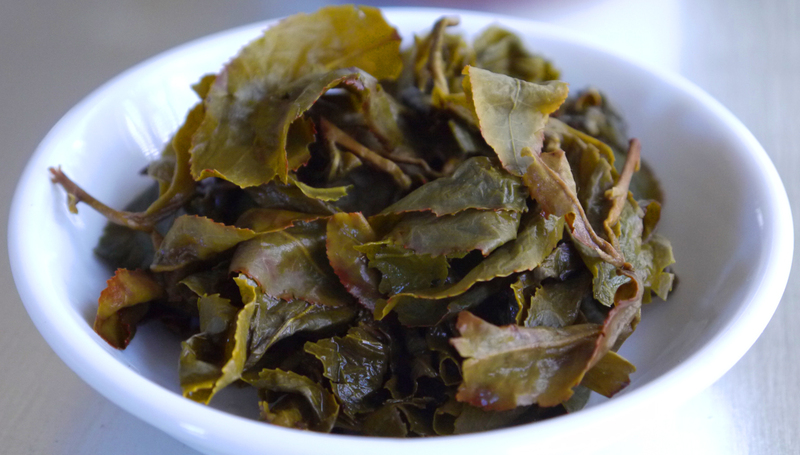 After the first steeping, the unrolled leaves still have plenty of deliciousness inside them. The brew — rich, tasty, wonderfully aromatic.